An attractively styled midsize sedan from Pontiac, the G6 replaced the long-running Grand Am. Fortunately, the G6 has much improved interior materials and build quality compared to the Grand Am. Engines choices include a 2.4L I-4, 3.5L V-6, or a 251 hp 3.6L. 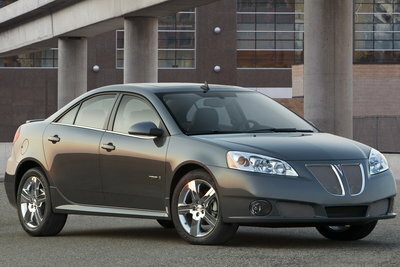 The 3.6L GXP model features a six-speed automatic. Most other models are equipped with a 4-speed automatic. The six speed automatic can now be paired (sport 1 package) with the 2.4L four-cylinder for increased fuel economy.